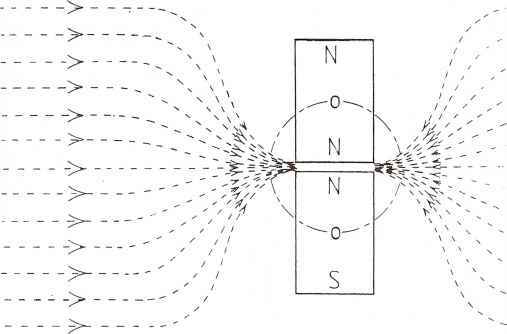 THE FREE ENERGY DEVICE HANDBOOK Macroscopic Vacuum Polarization would confer on the charge an irregular motion. This motion would represent a non-constant acceleration and so would also lead to a systematic reaction dampening force acting on the charge. "19 This supports Fulton's ad hoc suggestion that hyperbolic motion is unphysical.15 Sciama concludes, "...the classical results regarding the radiation emitted by an electron and the radiative reaction force on an electron...can be understood in terms of the spectrum of the field fluctuations perceived by the charge. "12 Sciama suggests a borrowing mechanism where the radiated energy is borrowed from the vacuum field during periods of uniform acceleration and then given back during nonuniform acceleration.12 Thus any consideration of the nature of a charged particle and of radiation production should include the charge's interaction with the zero-point energy. The resolution of the equivalence paradox may come with the development of quantum gravity theories20 in which the zero-point energy plays a crucial role. 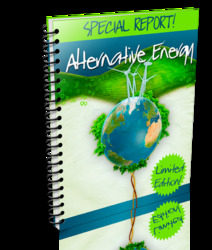 It seems like the efforts to find the best alternative energy sources are seriously being looked into by lots of countries including most US cities. One proof is the signing of the Kyoto Treaty. The main aim of the concerned group and individuals is to lessen the greenhouse gases and pollutants.